Plattco invented the goggle series valve in the 1980s to provide a solution for the discharge of a dry scrubber for the waste-to-energy industry. These valves have been used extensively in waste to energy as well as coal fired power generation. 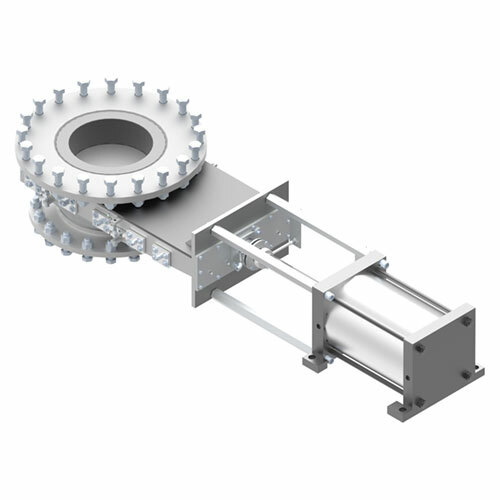 The valve is especially suited to handle the inevitable upset condition in the scrubber where the material discharging the scrubber is wet and sticky. The seal cleaning action of the valve will pass the wet material and keep on running. Let us help you determine what you need for your specific material handling system. This is Plattco's low-profile slidegate valve. It is commonly used as a maintenance gate above a Plattco double flap airlock valve. 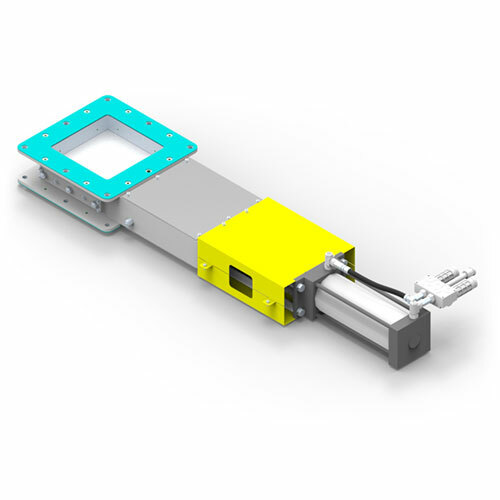 It is meant for low cycling applications where headroom is limited. This Plattco’s most economical roller gate valve. 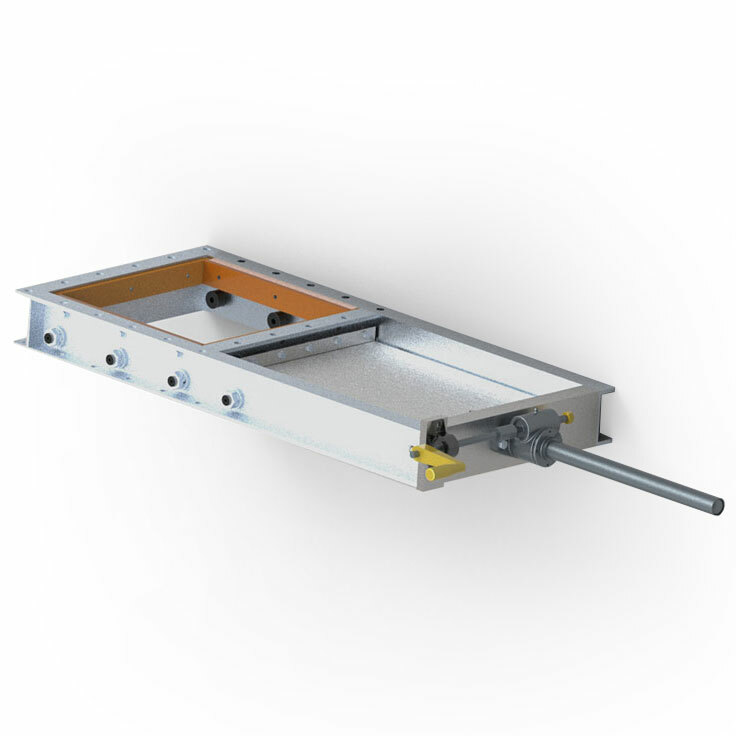 It is commonly used for gravity flow applications that require a reliable gate that won’t break the bank. This is Plattco’s premium roller gate valve. 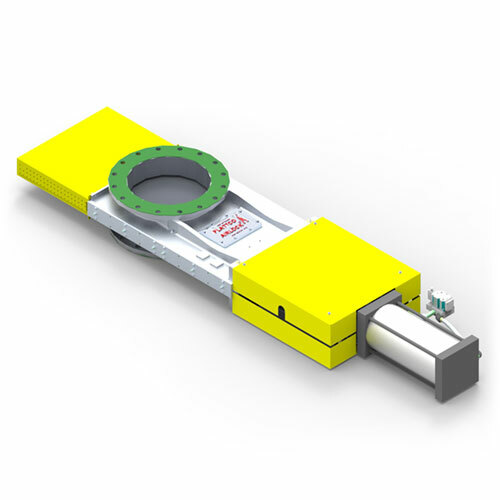 This valve can be customized to fit nearly any installation footprint and application requirement. These valves are common in process critical applications – where operation of your plant depends on a reliable slidegate valve. 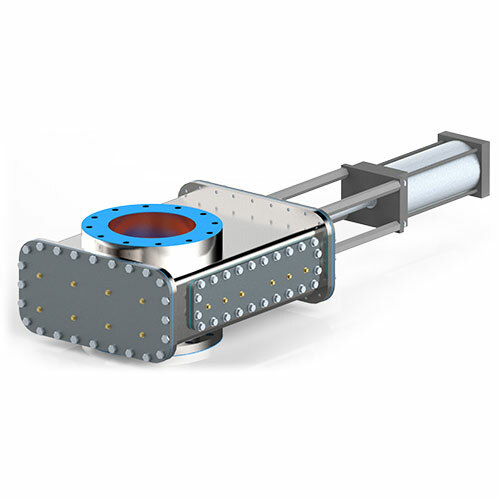 A high performance and high sealing slide gate valve specially designed for the cement industry to function as a diverter valve in critical pneumatic transport systems. Ideal pressure or vacuum pneumatic conveying line shutoff valve. This is Plattco’s high temperature slidegate valve. This valve is designed to operate handling materials at extreme temperatures. Our proprietary design allows us to handle materials up to 1800F safely and reliably. IS Series – This is Plattco’s coal isolation gate valve invented specifically to act as the main fuel shut off valve to fluid bed boilers. Plattco invented the valve in the 1980s. 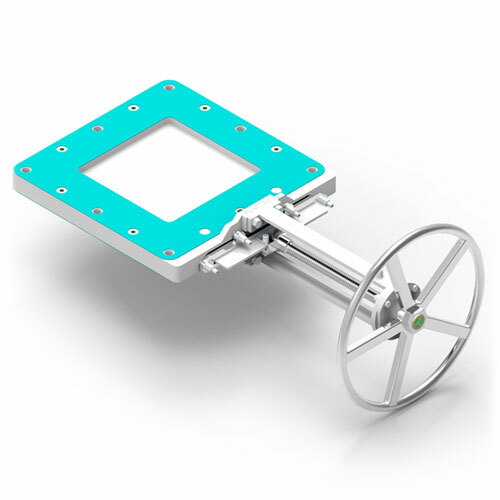 This Plattco’s dry scubber discharge gate valve invented specifically for the energy industry. 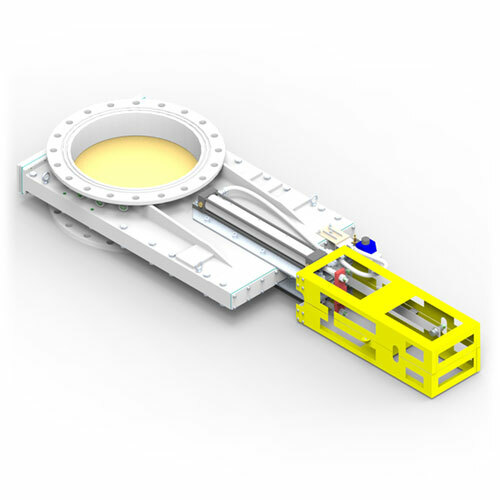 The unique design allows the valve to reliably operate as the discharge seal of a dry scrubber system. Plattco’s engineering and design team are able to collaboratively engineer a solution to meet your dry material handling needs based on your unique combination of application details and headroom available. For a side-by-side comparison of our products, download our Complete Product Catalog.